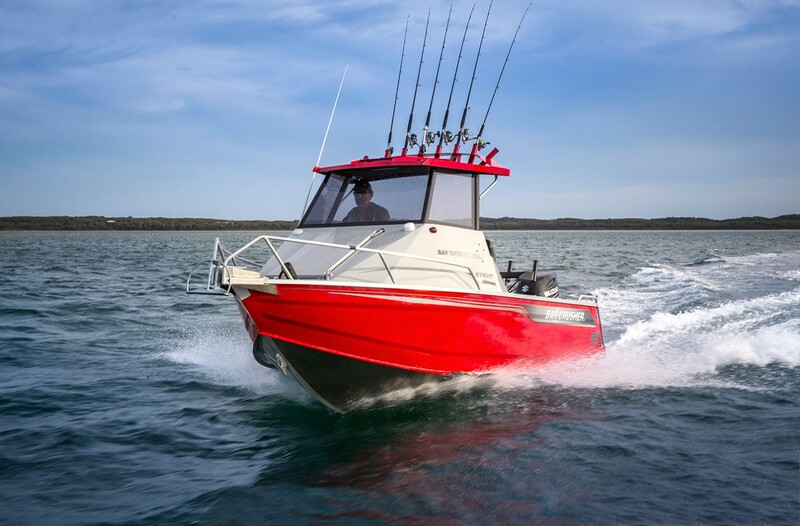 Built in Australia for serious Australian anglers. Huge cockpit fishing area (with secure toe-holds) in all models. Functional dash layout for all electronics and controls. Game Lock coaming – 575, 615, 670, 730 and 780 hull series. Roller-door lockable cabin – 730HT and 780HT. Exclusive Gen2 hull with Delta Flare – 490, 535, 575 and 615 hull series. Bar Crusher’s understanding of what serious anglers really want in a trailerable offshore fishing boat is as evident as ever in its latest range of hard top Fishing Weapons. 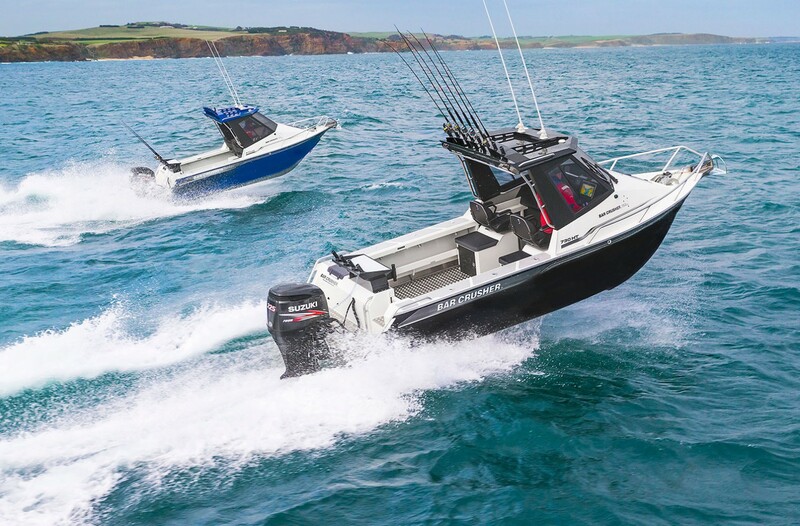 From the 575HT and 615HT, right through to the 670HT, 730HT and 780HT, the new design innovations and advancements in the HT series have each been carefully considered to further improve your boating and fishing experience. First up is Bar Crusher’s exclusive Game Lock™ coaming. 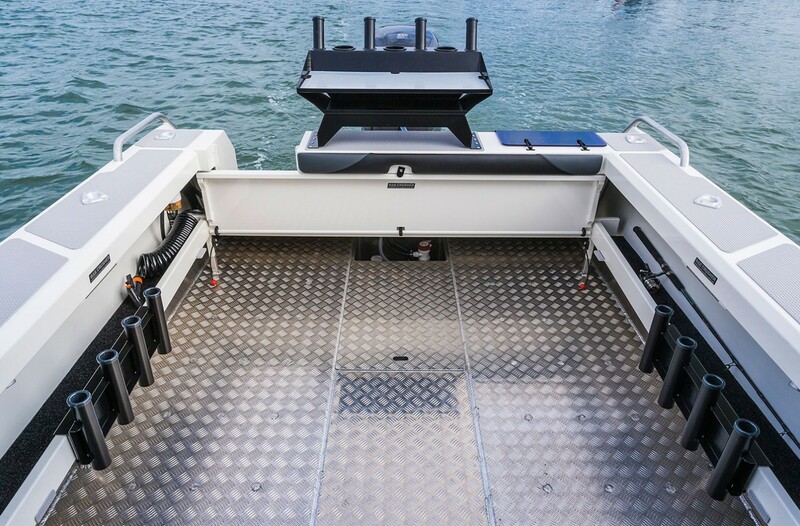 The newly-designed gunwale/sidedeck incorporates a 45-degree angle on the inner edge, which – along with the secure toe-holds found in every Bar Crusher boat – allows you to lock yourself into an extremely comfortable and secure position while fighting big fish. The Game Lock™ coaming is also slightly narrower than previous gunwale/sidedeck designs, which makes what was already a very spacious cockpit fishing area even bigger, yet is still plenty wide enough for anglers to comfortably sit on during long days on the water. New hard top designs are complemented by re-designed rocket launchers and slide-opening side windows as standard (670HT, 730HT and 780HT), while fresh paint schemes now see the hard top colour match that selected for the hull. 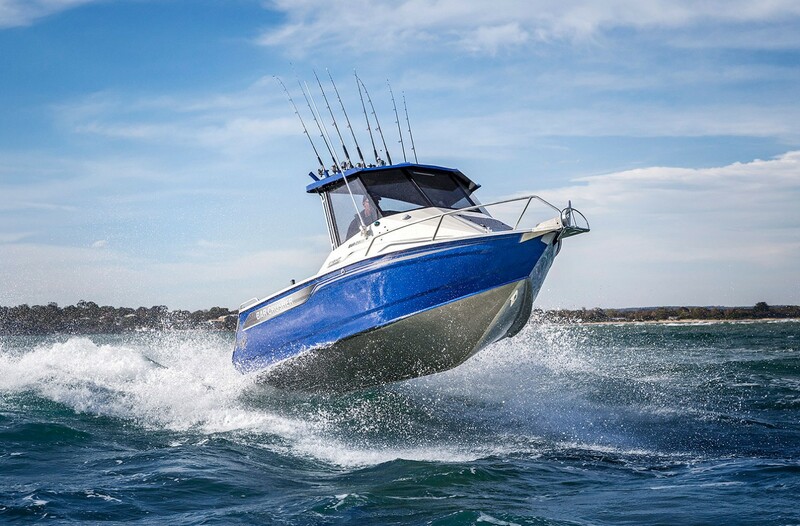 Bow rails and grab rails have also been upgraded, and the newly-designed bowsprit adds further strength and smoother anchoring to these super-tough offshore fishing boats. 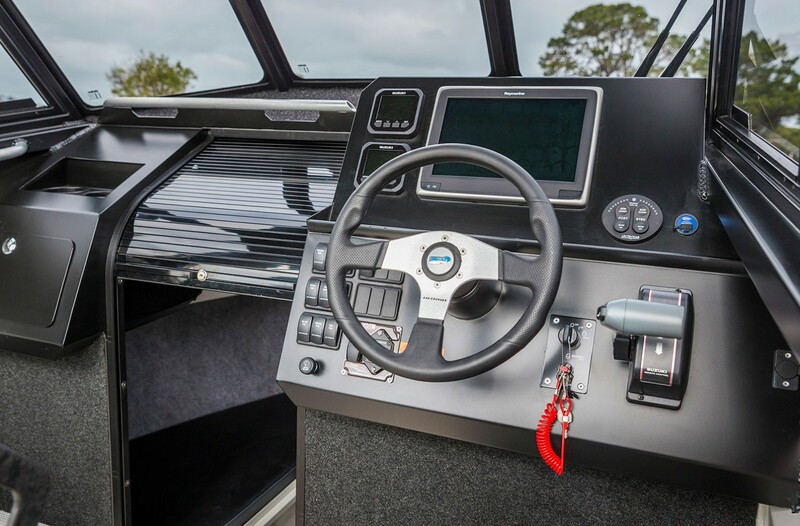 At the helm, Bar Crusher has redesigned the dash of the 615HT, 670HT, 730HT and 780HT to accept up to a 16” multi-function display, with plenty of space still available for the installation of digital gauges, trim tab controls and other switches. 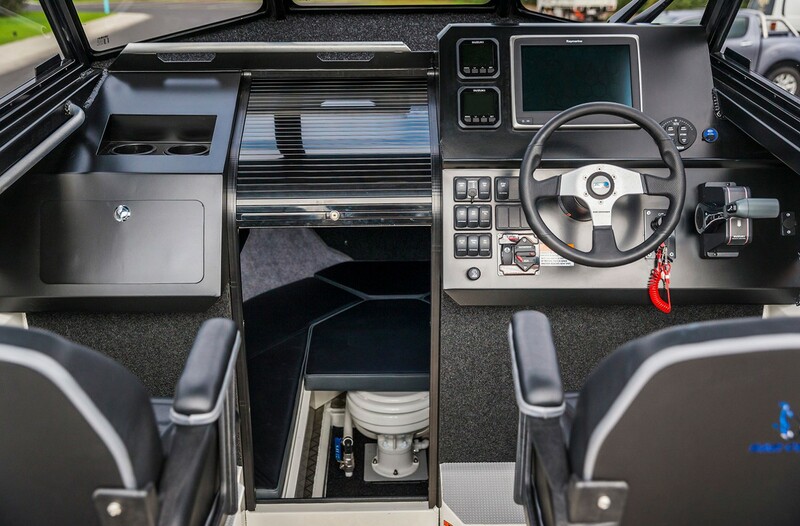 The new dash layout is also more vertical than previous models, which allows everyone onboard to view flush-mounted displays/screens from anywhere in the boat, and features a handy shelf for secure placement of mobile phones, lures and other small items. Bar Crusher’s R&D team has also designed a new roller-door lockable cabin, which is available as an option on the 730HT and 780HT. 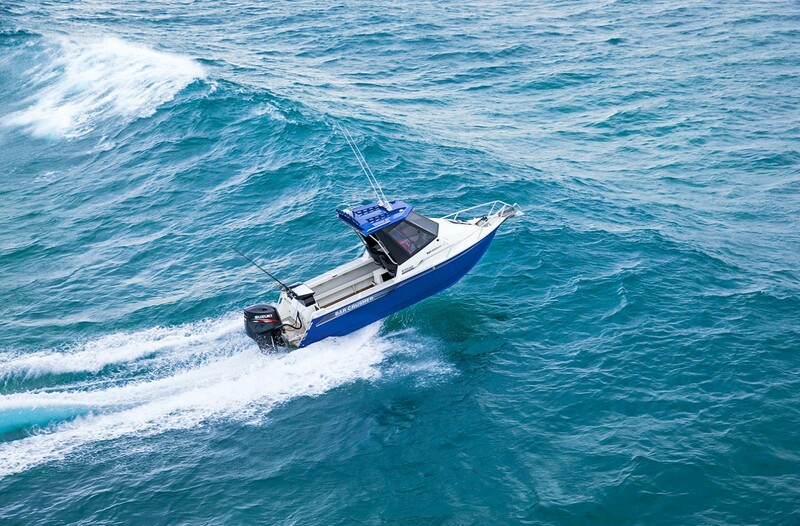 Designed and built in Australia for Australian conditions, all Bar Crusher boats incorporate exclusive innovations such as the Waveslicer® deep-V, non-pounding hull for an ultra-smooth ride, Rigideck® engineered sub-floor system for maximum hull strength, and Quickflow® water ballast technology for excellent stability at rest. 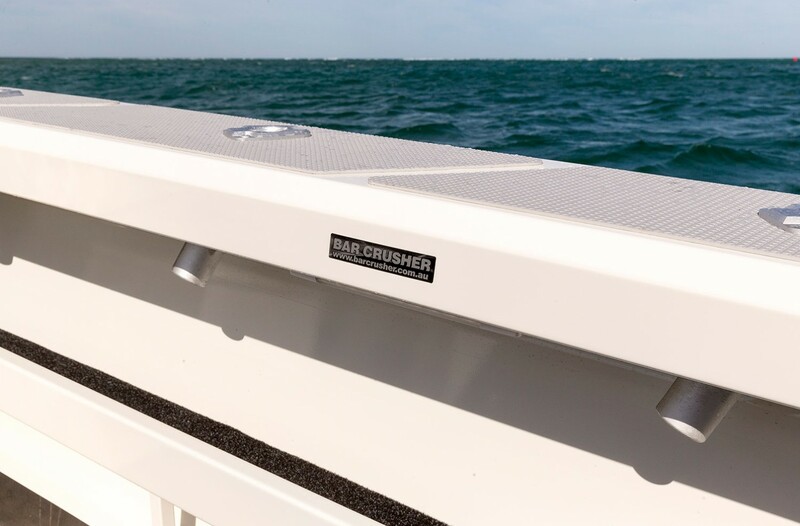 The 575HT and 615HT also benefit from Bar Crusher’s industry-leading Gen2™ hull. This design combines key features including a wider negative chine running forward, optimised wider chine aft and the distinctive Delta Flare™ – a complex V-shaped planing plank that starts wider at the transom and narrows as it runs forward. 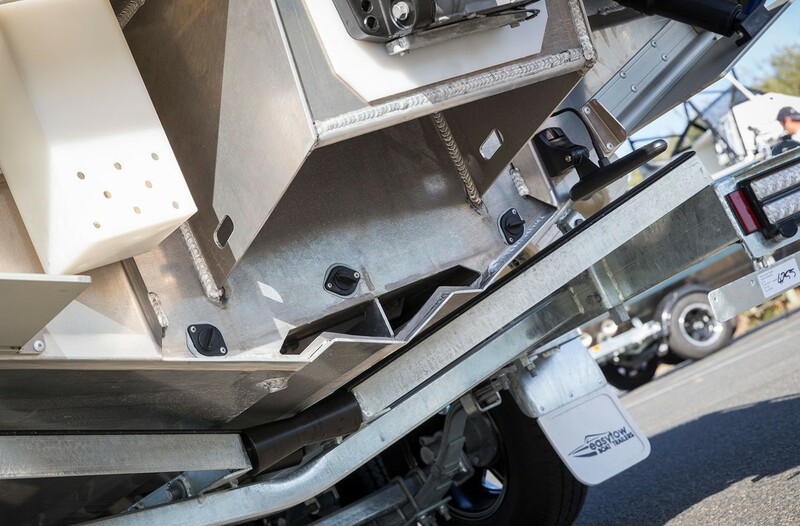 The result is greater hydrodynamic lift for more efficient planing and improved fuel economy, a higher bow attitude and better spray deflection for a drier ride. 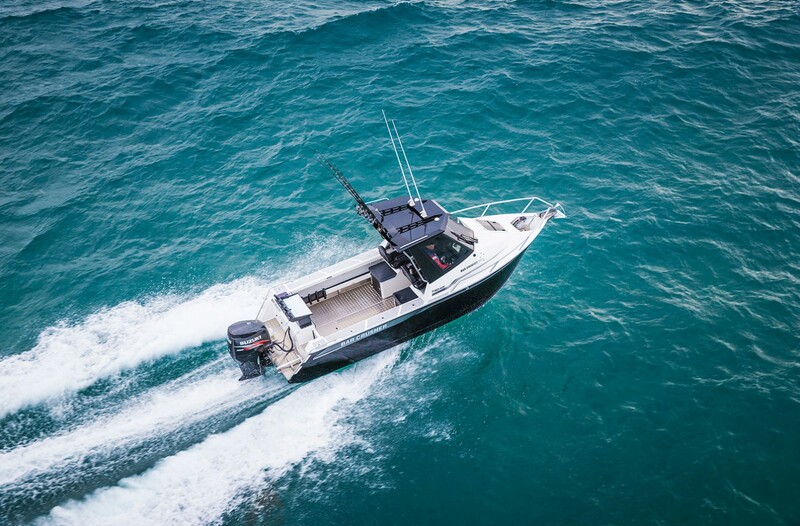 Renowned for quality construction, superior performance and maximum fishability (with a range of standard features other manufacturers charge as extras), every Bar Crusher boat is factory-packaged on a custom-designed trailer, which ensures towing, launching and retrieving is a breeze. Self-centering and aligning perfectly every time, Bar Crusher’s innovative Bar Catch™ system also allows for single-handed launch and retrieve.